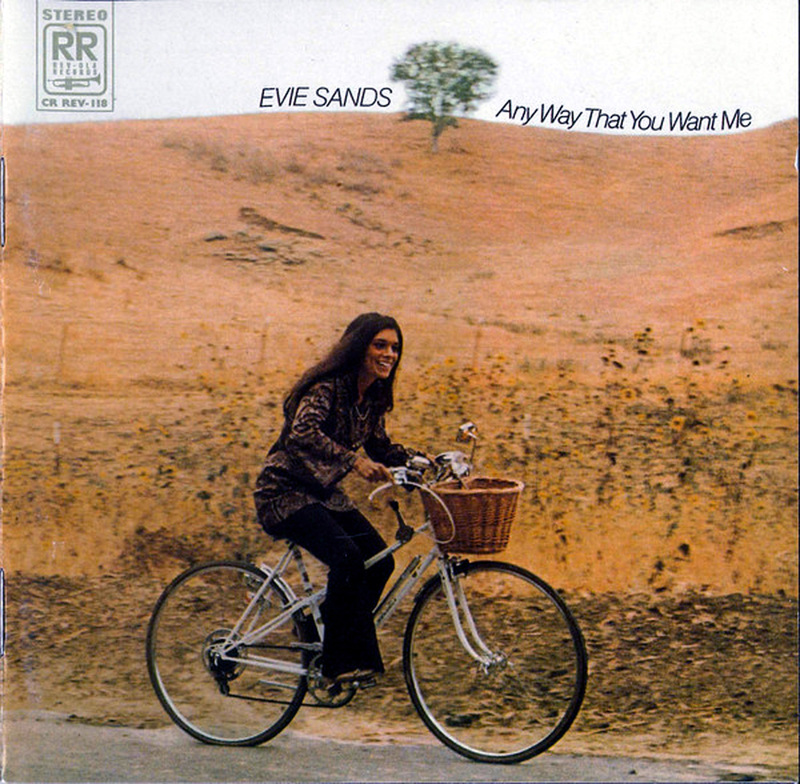 Evie Sands is another character in the long line of those whose name is being mentioned among the “small circle of friends” and true aficionados, and whose songs (well at least some of them) are well known to even an average listener, without actually being aware of the original artist. After three singles in 1965/66/67 respectively, with each of the songs, thanks to plain misfortune, becoming a hit single for someone else instead for her own self (Take Me For A Little While – Jacke Ross, I Can’t Let Go – The Hollies, Angel Of The Morning – Merrilee Rush), her long overdue stroke of luck finally came with the cover of her producer Chip“Wild thing”Taylor’s Anyway That You Want Me in 1969. With an additional middle eight, the author himself, considers this to be the definitive version of the song, made worthy of any BIG productions archive. Her long awaited debut album followed early in 1970, and was more than worth the wait, it’s just that those who realised it at the time were pretty rare. Besides the mentioned hit single, also included is an updated version of Take Me For A Little While, as well as a couple more genuine female blue-eyed soul items such as Close Your Eyes, Cross Your Fingers or I’ll Hold Out My Hand, with an additional fuzzy guitar line giving it an extra dimension. 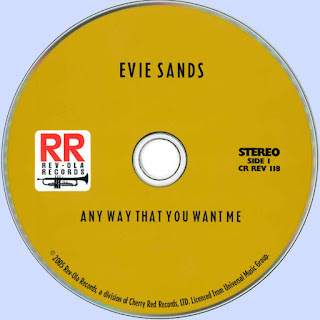 Also worth the mention is the opening swirling orchestral cacophony, leading into another piece of soulful pop, Crazy Annie, the slightlydelic orchestration of Shadow Of The Evening, while It’s This I Am was Evie’s debut self-written recording, recently brought back to public attention by both Beck and Beth Orthon. Being somewhere between the soulful deliveries of the latter-day Dusty Springflied, and the melodic eclecticism of Carole King, with a touch of rootsy Americana, it’s not hard to see why Dusty herself, cites Evie Sands as her favourite female singer.